26% of iPhone Users to Abandon AT&T for Verizon? "Computerworld - More than one-in-four iPhone owners now using AT&T will switch to Verizon, a U.S. consumer survey said today. According to ChangeWave Research, 26% of iPhone owners said that they will leave AT&T for Verizon. The biggest chunk of those consumers will make the switch in the first three months that Verizon offers the iPhone 4, with the bulk of the remainder dumping AT&T within the next year." Another prognosis, based on what I personally would not consider to be a statistically valid sample. (More than) 4,000 users sampled out of how many iPhones sold? Anyway, the survey found that poor reception and dropped calls were a major factor in those polled saying that they would switch. Isn't this a common complaint with all carriers and most phones? The concept of churn is real. What do you readers think? 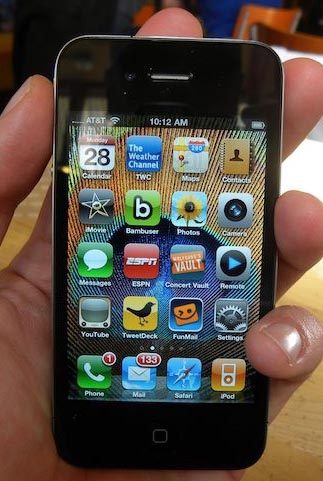 Would you switch from an AT&T iPhone to a Verizon iPhone, and why or why not?